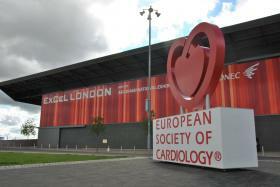 New data is expected to be presented at the European Cardiology Society congress in London, on the high cholesterol drugs that are set to battle for market access in the UK. Amgen’s Repatha (evolocumab) was the first in this new class of drugs - called PCSK9 inhibitors - to be approved, when it was signed off by the European Commission in July and has been approved by the FDA today. Delegates at this seminar will examine the challenges and opportunities in tackling CVD and related diseases. It is timed to follow the release of the Cardiovascular Diseases Outcomes Strategy, due this winter. Planned sessions focus on the implementation of the strategy, commissioning and delivery of services in the reformed NHS and the key issues of integration, investing in education and the role of public health in raising awareness and increasing prevention. This course will provide delegates with a review of current treatment regimes and guidelines in selected areas of cardiovascular medicine. Participants will have the opportunity to learn how cardiovascular clinical trial results influence prescribing. Our experienced speakers will discuss the strengths, limitations, and the actual and/or potential impact, of key clinical trials on prescribing practice. Patient presentations and treatment algorithms will provide worked examples to reinforce the lecture content.